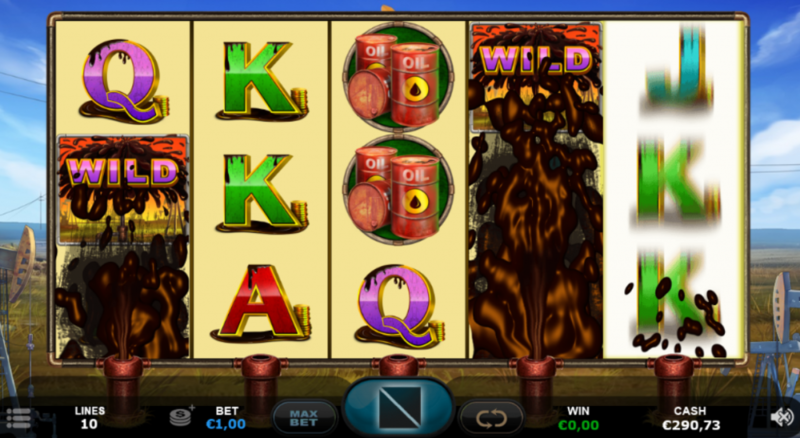 This 10-line slot from Plank Gaming seems to have divided opinion somewhat. The truth is, you need to give it some time. This is a pretty volatile game and the bulk of the value is in the Gushing Wild feature. The base game is a decent-looking, if standard, affair. The almost-eponymous Rich Geezer (with a geyser, yes, you’ve got it) is the highest paying symbol. 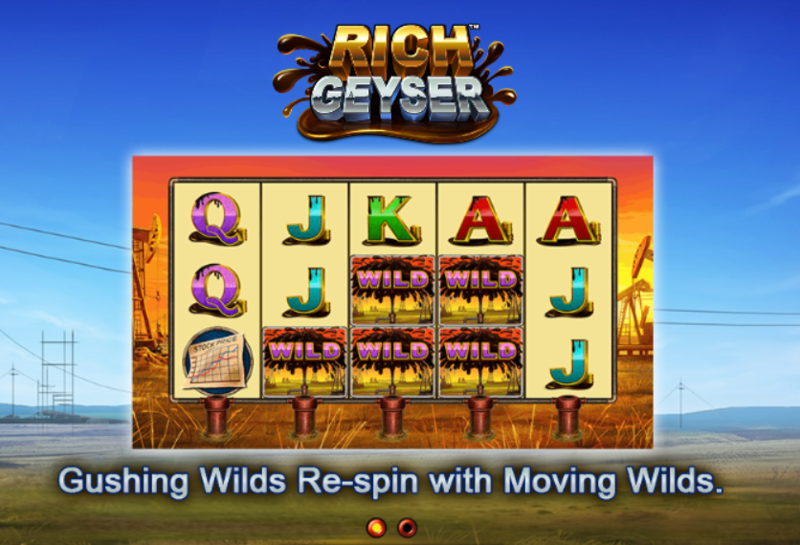 Land 2 or more Wilds on the reels and you’ll be rewarded with gushing re-spins. If you’re familiar with Wizard’s Gold, or perhaps Blaze of Ra then you’ll know the drill, no pun intended. Wild symbols will roll down the screen triggering re-spins at every drop. The wilds can of course trigger at any time so with a bit of luck you can keep going for quite a while, and for multiple wins. Symbols are stacked on all reels so even if you don’t land the big one there’s plenty of potential for other hefty wins. As I said in the opener you need to give this game a bit of time. Think of it in the same way as Book of Ra for example. Faced with that game for the first time and without seeing a feature you’d wonder what all the fuss is about. Land a bonus feature with a few Tens and your opinion wouldn’t change. Same here, it will take personal experience of the game’s potential to really bring home the point of the slot – I think it’s well worth it. We’ve put a fair few spins through this and we return to it often during our streaming sessions. There’ll be a video coming soon, so watch this space! 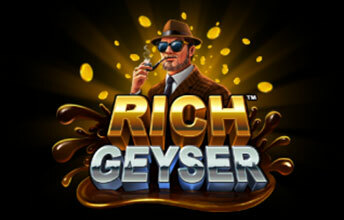 At the time of writing, Rich Geyser is exclusive to the Betsson brands – we played at Casinoeuro. There will be a larger roll-out across casinos very soon though.